When you live a life on the road like my family always did with motorsports, there are very few times where you’re able to really get together. Thanksgiving has always kind of signified the end of the racing season, but we’re still sports-minded people and still like competition, so watching the Detroit Lions was kind of a natural fill-in. That’s my first memory of being a Lions fan: Watching them play on Thanksgiving day. It was a pretty big deal for my family, and really, for anyone who lived in the Detroit area. We all loved watching, and when the Lions didn’t have success, making fun of them became a pastime, too. Mainly, though, the team brought us all together. My brother, Brian, and I have a unique relationship in so many ways. I’m a Michigan fan. He’s a Michigan State fan. You get the idea. But one of the few areas where we overlap is when it comes to rooting for the Lions. We’ve gone to a couple of Thanksgiving games together. This year, we’ve had a pretty good season so far. 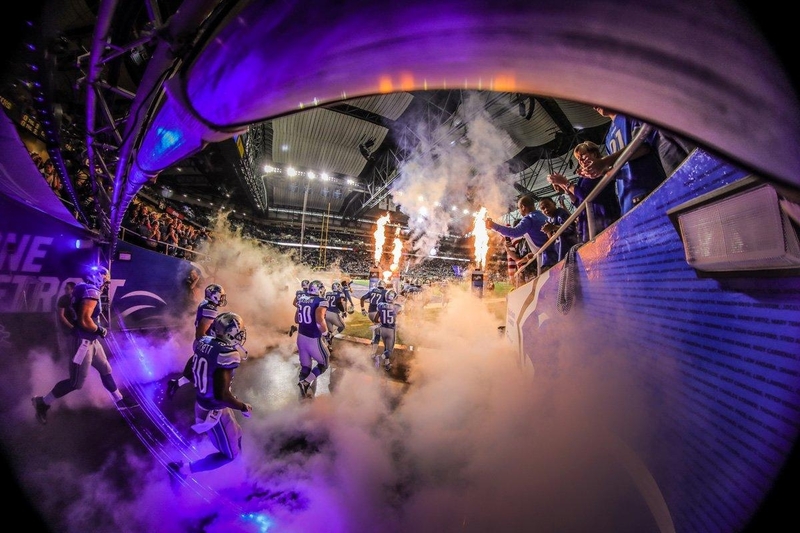 So while the getting is good, I wanted to talk about my love for the Lions, and why I’m optimistic about what’s to come. For me, the answer started with two words: Barry Sanders.Man, did I love Barry. He made so many amazing plays, but what I also liked about him was that he was so quiet and humble. When he played for Detroit, Barry actually lived in the town where I’m from, Rochester Hills. That was kind of cool. I never saw him around town, but a few of my friends did. Back then, the Lions played in Pontiac, Michigan, and Pontiac is literally right next to the area where I grew up. You could see the stadium from my dad’s race shop. It was practically across the street—we could actually watch the players practice from there. 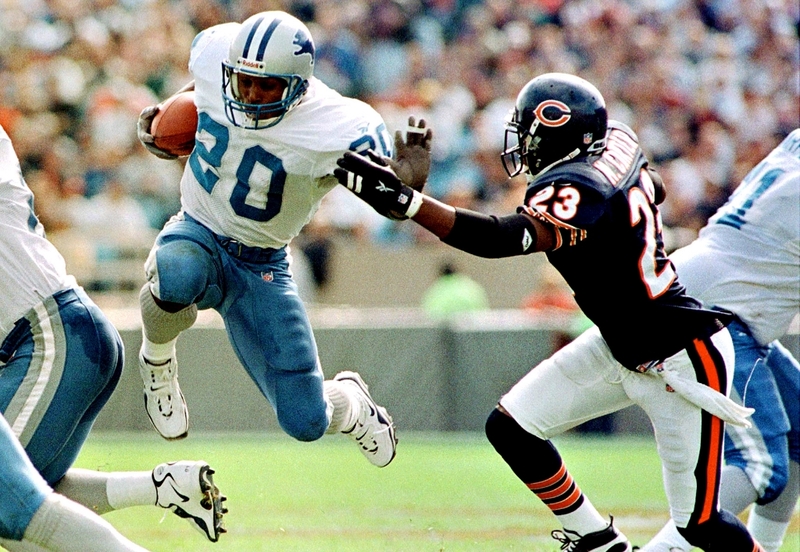 There will never be anyone like Barry Sanders. As I got older, I began to understand that heartbreak and Detroit football went hand-in-hand. In 2000, the Lions looked like they were going to make the playoffs easily, but toward the end of the season, they kind of unraveled, and lost two or three games in a row. Everything came down to the last game of the regular season against the Chicago Bears, and the Lions had to win it. The Bears were 5-11, a terrible team with nothing to play for. We lost by a field goal. I’ll never forget it, because as the ball was kicked, the announcer said, “Here it is, the Lions season, up in the air. And there it is. It’s over.” The next few days on the radio, they just lambasted the whole team. Everyone got fired. But the absolute worst day in my life as a Lions fan was when we found out that Barry Sanders had retired. That really hit everybody hard. I remember the community being like, “Oh, my God. This is the end of everything.” Every Lions fan. If Barry was the guy who made me a Lions fan, Calvin Johnson was the guy who got me excited about watching them again. I was a huge, huge Calvin Johnson fan. He was a lot like Barry in terms of his personality. He didn’t need to be showy. He just delivered results again and again and again. I’ve always had a lot of respect for that. It’s funny that the two superstars in our history have had these same kinds of personalities. They were the perfect fit for a hard-working town like Detroit. Can you imagine what we’d be like this year if we had Calvin, too? What Barry was to running backs, Calvin was to wide receivers. This year’s team has been unbelievable. I know that Cardiac Cats is a stolen nickname, but how many games have the Lions won on the final drive? They’ve had eight fourth-quarter comebacks, which apparently is the most in the NFL since 1950, maybe ever. What’s so amazing about it is that it’s kind of the antithesis of what they’ve been known for, which is playing well until the end, and then giving it up. I’ve been so impressed with Matthew Stafford, and honestly, I really didn’t know how to place him among the league’s quarterbacks before this season. But he’s shown incredible heart and desire this year, more than I remember him showing before. He’s been running the ball and giving up his body when plays break down. The way he’s stepped up and led this team is something I didn’t see coming, and it’s awesome. The team’s still got some really tough games in front of them: New York, Dallas and Green Bay. But we’ve got a two-game lead, so that’s good. We’ve been here before, but they probably only need to win one game to win the division. That’s not going to be easy to do, but for the first time in a long while, I think we can do it. There’s definitely a lot to be optimistic about as a fan. Because of the team’s relationship with Ford, I’ve been able to get to know the team’s new general manager, Bob Quinn. He’s a huge race fan, and he and I have a kind of ongoing dialog, which is really cool. He’s a really good guy, and it’s been fun to see their success, and have somebody you can kind of relate to. Because of my own schedule, I haven’t gone to see the team as much as I would have liked, but I did have a chance to go to training camp back in 2015. At the time, Golden Tate had asked me about one of Ford’s new Mustangs, and what it would take to get a racing model. “Win the Super Bowl,” I said, “and I’ll make a call to Bill Ford for you!” I think I even told him I’d pay for it. Golden, that offer still stands. 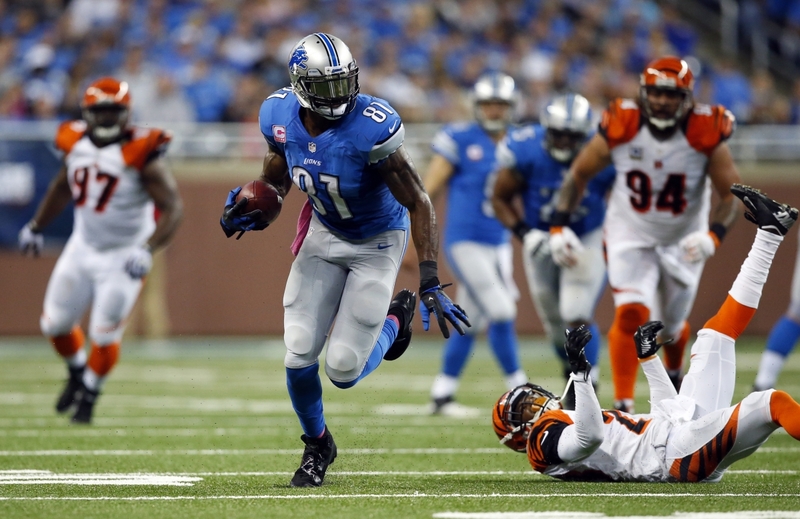 One of the great things about the Lions’ success this season has been the impact on Detroit. Strangely enough, even though it’s the home of the automobile, Detroit’s not a racing town. It’s a football town and hockey town. You think of baseball too, but it’s definitely a very football-based area. Whenever they have any measurable success, you start seeing Lions banners up on the sides of warehouses and stuff like that. When the Lions are successful, the town just really embraces them. It moves the needle, more so than for any other sport. The idea of the Lions reaching the Super Bowl actually has had some pretty far reaching implications, especially in my house. Last year, when the Carolina Panthers reached the Super Bowl, my fiancee Paige wanted to go. If the Lions go to the Super Bowl, I can tell you at least one other person who will be there. Basically, I really undersold it to her. Instead, we agreed to have a house party for the game, which was great. “We’ll figure it out when we get there,” I told her. But at least one of us, maybe both, knew that wasn’t true. Go Lions.